Are you looking for the inside secrets from the most successful game publishers? Are you interesting in discovering the strategies that the top game publishers are implementing to ensure their success? 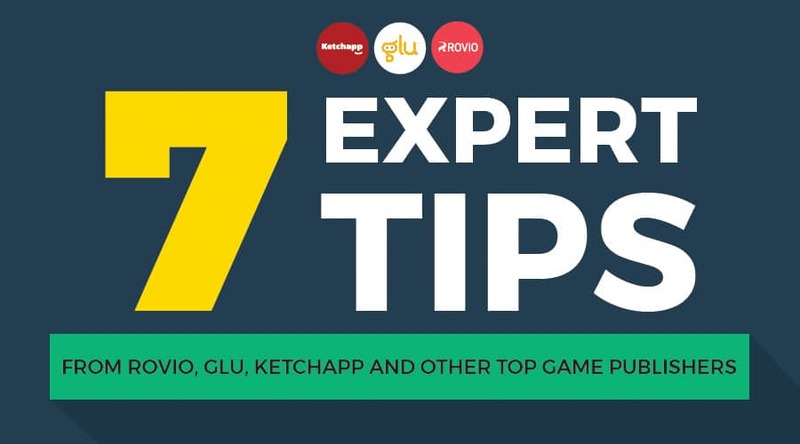 After interviewing practitioners from the top mobile game companies from Rovio, Glu, Ketchapp, Voodoo and more, I decided to put together a compilation of their best strategies that we can all use to grow our mobile game businesses. Christian Calerdon, Chief Revenue Officer at Ketchapp, focuses on optimizing first impressions ads. The first impression ad is important to advertisers because it has the highest performance. If a user sees five ads, typically the first ad performs better than the fifth one. Also, due to the auction dynamics of ad networks, the highest paying ad is always going to be the one that is shown first, thereby making first impression ads valuable to both the advertiser and the developer. Christian recommends designing product features that try to have a high adoption rate for first impression ads and try to cut deals with ad networks for first impression ads. As the industry has gotten much more competitive, the bar has gotten really high as far as what it takes to have a viable title. You can no longer get away with putting out sequel after sequel, light reskins, or modestly innovative games. Each time you put out a new product, it needs to be robust and and really surprise and delight consumers. “When you do have a successful product, you’re much more likely to be successful if you really double down and keep that product going through liveops, constantly adding new features, listening to the community and evolving that product rather than always jumping to building the next game. We’ve seen that that evolution across the entire industry and certainly in our own business,” says Chris Akhavan is Chief Revenue Officer at Glu Mobile. Gabriel Rivad, Product Manager at Voodoo.io, spends a lot of time just looking at what games are in top charts and trying to really extract what qualities they have. He condenses his notes in an Excel spreadsheet analyzing objective qualities such as the average time of session, whether the game is online offline, the category of the game, is it multi-player and more. In addition, he also analyzes the subjective aspects including is the game relaxing, is it too punitive or is it all out frustrating. “One of the the aspects of a very addictive game is what we call the ‘YouTube-ability’ of the game. Can understand all the mechanics and all the rules of that game just by looking at a video one minute video,” adds Gabriel Rivad, Product Manager at Voodoo.io. Along with focusing on key metrics such as CPIs, retention and in-app monetization, game developers should figure out a way to maximize ad engagement. Offer walls are also a great way to earn additional ad revenue from your users. Users are rewarded with virtual currency within an app for taking an action. For example, users can be rewarded within the app for signing up for a Netflix subscription or downloading another app. Jeff adds that “we’ve actually found that the non-buyers who engage with the offer wall actually go on the purchase at a much higher rate. It’s been a pretty valuable addition for revenue, but also to drive more in-app purchases. Every game that ends up being a hit, it had to have an effective an acquisition channel. However with rising acquistion costs, how do you ensure that your game will be profitable? You have to focus on lifetime value which boils down to two main pieces – retention and ARPDU (average revenue per daily active user). “You need a game or app that is UA-able. In other words, an app that has a lifetime value that is greater than the cost it takes to acquire users. That’s the most important thing in user acquisiton,” says Christian Calderon, Chief Revenue Officer at Ketchapp. The first thing that you typically want to look at in a game is the retention piece to make sure people keep it on their device and come back to it. Then obviously monetizing those users. 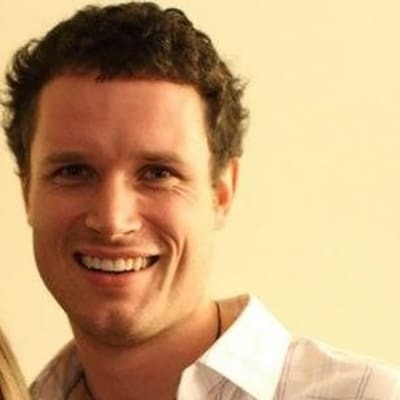 “Throughout the lifecycle of an app you are always trying to improve these two things. At Ketchapp, we go through an iteritate product development life cycle where we we push an update then measure how the update changes the these two metrics, ” adds Christian. Whether you are an independent studio or a big company, you must have a solid business strategy and approach the commercialization of your game by utilizing business intelligence to optimize your game. This is especially important during the soft launch phase and before releasing the game to millions of users. In fact, Rovio decided to discontine a new game called Party Monsters after the soft launched when they realized that they are “not going to be able to get to a reasonable LTV with the game”. If you want to sell more in-app purchases without putting off your users, then monetize them off their impatience. He points to Army of Darkness Defenses where users can play the game all the way to the end without spending a dime. However, if the user was a little impatient, then you could spend money getting a powerful cool weapon that made them feel like they could complete a level faster. In your games, you should try not to create a pain for the user and then sell the solution. Steve started building apps in 2011 and his first app hit #8 under educational games. In 2013, Steve decided to start a podcast so he could pick the brains of app creators he admired, including the co-founder of Shazam, Tapbots, Crossy Road, etc and that changed everything. 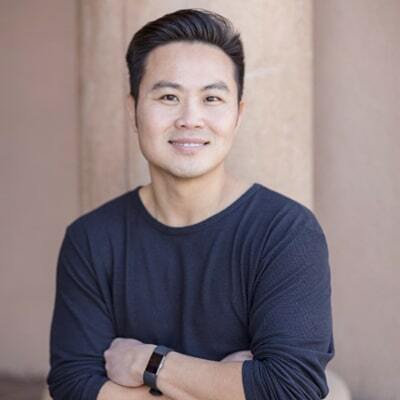 Now, he runs an app marketing agency, AppMasters.co, where they’ve helped clients get featured by Apple, hit the #2 paid app overall, and got coverage on Techcrunch, Mashable, Venture Beat and other major publications. Steve also writes for The Huffington Post, Entrepreneur.com, The Next Web, Lifehack and the AppMasters.co blog.